Generally students can expect that if they've done professional work and put in about five hours per 100 points each week, they'll receive full credit. If they forget to do even a single bullet-point from the Project Checklist, they'll get a temporary zero points for the project and we'll ask them to resubmit. These classes are not like others, where students can look and say "Oh look, I have a B- in English Class." Instead they'll accumulate POINTS as they go; 100 points by the end of the first week is 100% (and likewise 700pts by Week 7 is 100%). What this means is that having 290 points in Week 3 is just fine . . . but if a student still has 290 points and it is Week 7, there is a significant problem! 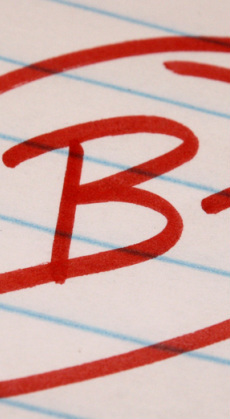 We report final grades at the end of December for the fall term and in May for the spring term. At any point, for midterm grades or quarter grades, current progress reports can be generated, though we encourage the use of "Passing" and "Incomplete" grades until the final progress pdf-file is generated.